The family of retired Santa Ynez teacher Linda Wall — who was killed last December in a DUI crash — filed a wrongful-death and product-liability lawsuit earlier this month against Toyota, a towing company, the county, driver Rebecca Sandoval, and Sandoval’s sister. Represented by Santa Barbara attorney Barry Cappello, Wall’s husband and three children contend, among several claims, that the seat-back in 68-year-old Wall’s 2004 Toyota Highlander was defective. 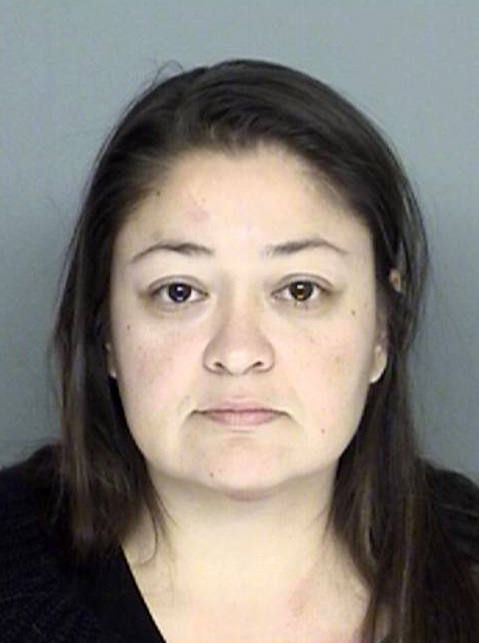 At about 2 p.m. on December 19, 2013, Sandoval, then 37, was allegedly high on nitrous oxide when she slammed her 2010 Jeep Wrangler into Wall’s Highlander, which had been slowing for a red light on Highway 246 near Cuesta Road. Wall’s Toyota hit another stopped car, which carried passengers Simone Mikusova and Michal Miklas — both visiting from the Slovak Republic — who sustained minor injuries. In her criminal case, Sandoval pleaded not guilty earlier this month to all four charges against her — second-degree murder, gross vehicle manslaughter, and DUI causing injury for another driver on the road. She is also charged with driving under the influence of a drug, stemming from a prior incident in July 2013. Prosecuting attorney Paul Greco is handing the case, which will return to court for a review and settlement conference on January 14 in Santa Maria. Public defender Patty Dark is representing Sandoval, who remains in custody and faces 15 years to life in prison. The suit further states that the day before the fatal incident, Sandoval showed up “hysterical” and “crying” at the Vandenberg Air Force Base, where she told base personnel that satellites were trying to get her to do “killing things,” among other claims. She was transported to a Lompoc medical center, where she was placed on a psychiatric hold and released the next morning. She had told Vandenberg personnel she was not on her medication, the lawsuit alleges, and she had multiple nitrous oxide containers — some used, others new — and a whipped cream container in her car. Sandoval’s car was towed that day by Smitty’s Towing, which the suit also goes after. The lawsuit claims Smitty’s employees towed Sandoval’s Jeep and released it to her the next morning even though they were aware of Sandoval’s erratic behavior and the fact that there were additional nitrous canisters in the vehicle. Attorney Cristi Michelon, who is representing Smitty’s, said she could not comment on the litigation. Sandoval’s sister, Dr. Niki Sandoval, is also named in the lawsuit; it claims Dr. Sandoval “assisted and enabled” her sister to get her Jeep back and drive away in it with the unused drugs. The lawsuit also claims that county American Medical Response employees prematurely turned on their ambulance’s lights and sirens in responding to an unrelated call right around the time and place of the fatal accident. This, the suit states, caused several cars behind Wall to pull over to the right side of the road just before Sandoval crashed into Wall. At the time of her death, Wall had recently retired after teaching for 38 years; 22 of those years were at Santa Ynez Valley Union High School. She was from Santa Barbara.